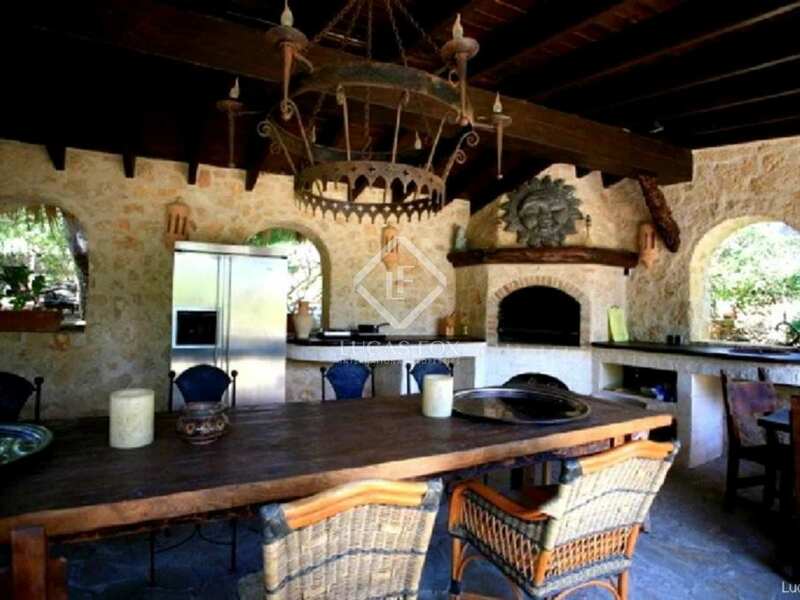 This exotic Balinese style mansion with 14 bedrooms and 14 bathrooms is situated in spectacular tropical gardens directly on the seaside in Cap Martinet. 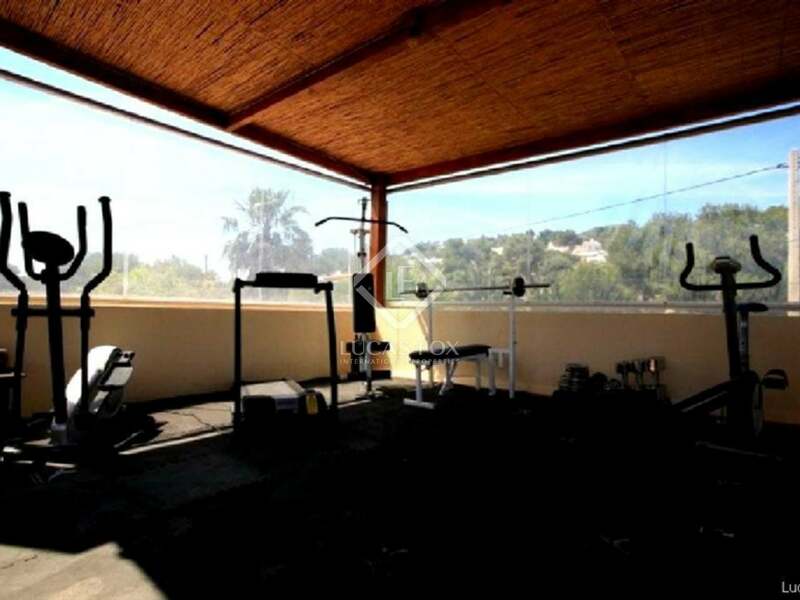 The distance to Ibiza town is less than 5 minutes. 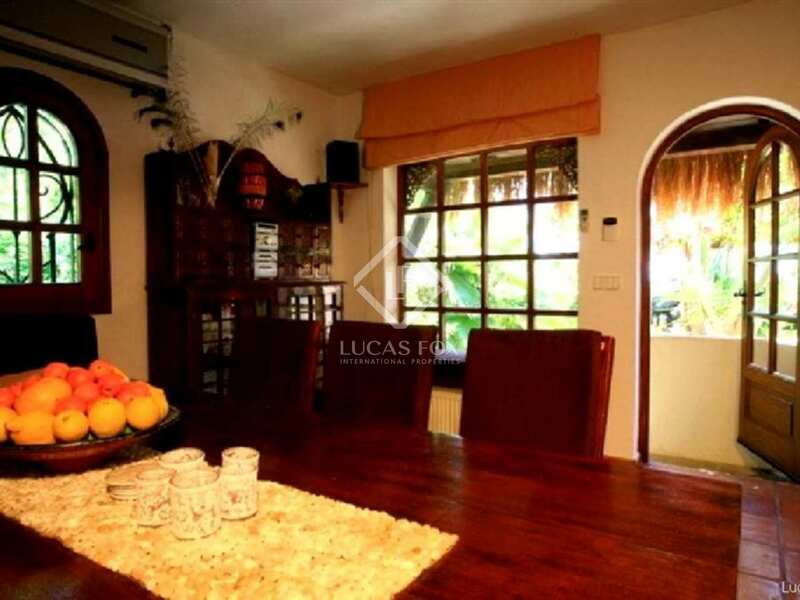 The property is very private and is just 50 metres away from a private bay. There are breathtaking view of the sea and Formentera. Two large living rooms and a salon with a fire place. 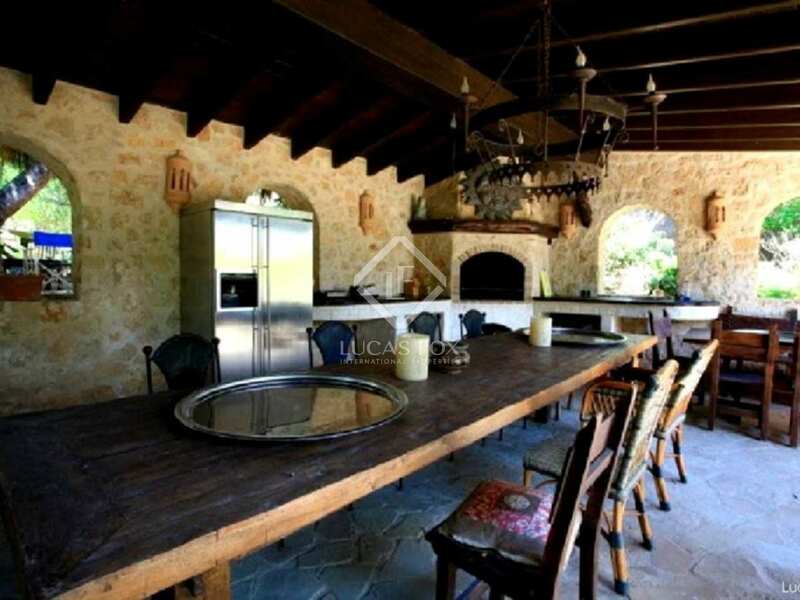 An Ibiza style kitchen and a spacious dining room with open fire place. 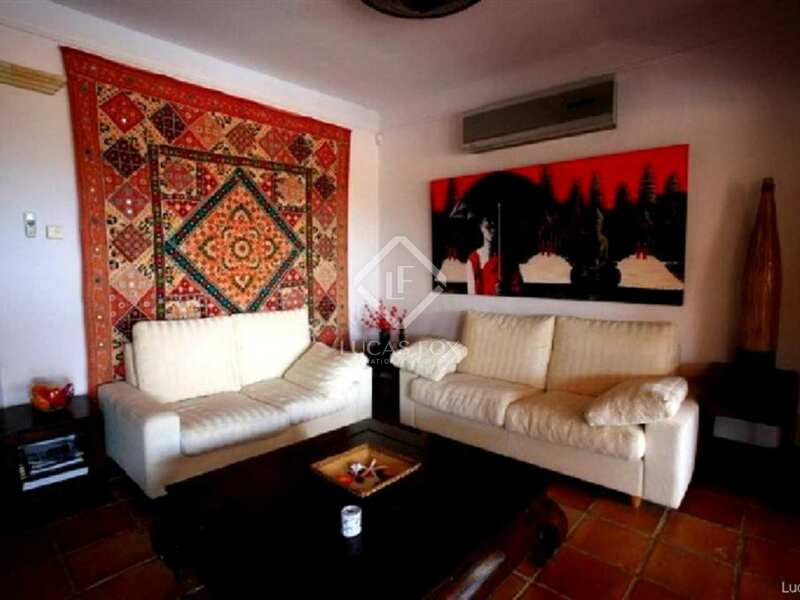 14 en suite air-conditioned double bedrooms. 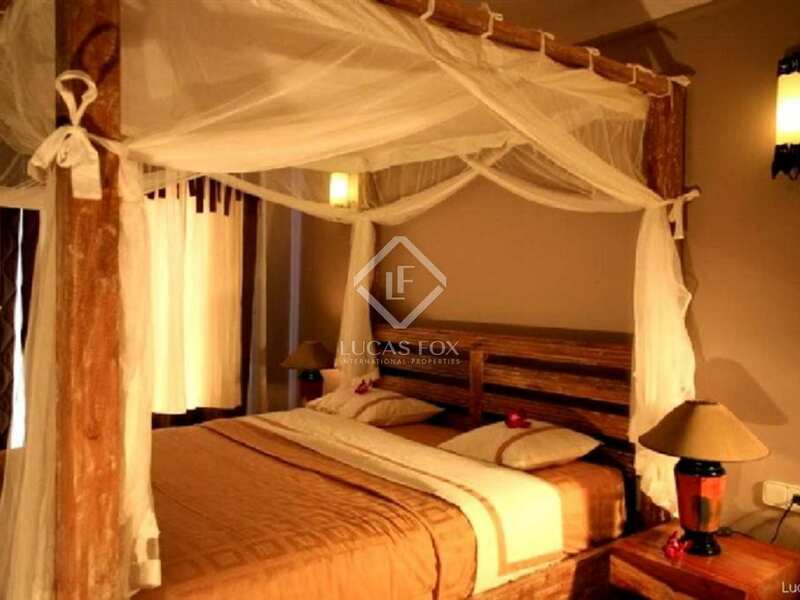 In the exotic garden, surrounded by palm trees there are various tropical cabanas in the style you will find in Bali. Fantastic turquoise infinity pool with waterfall, pool bar, jacuzzi, sauna. 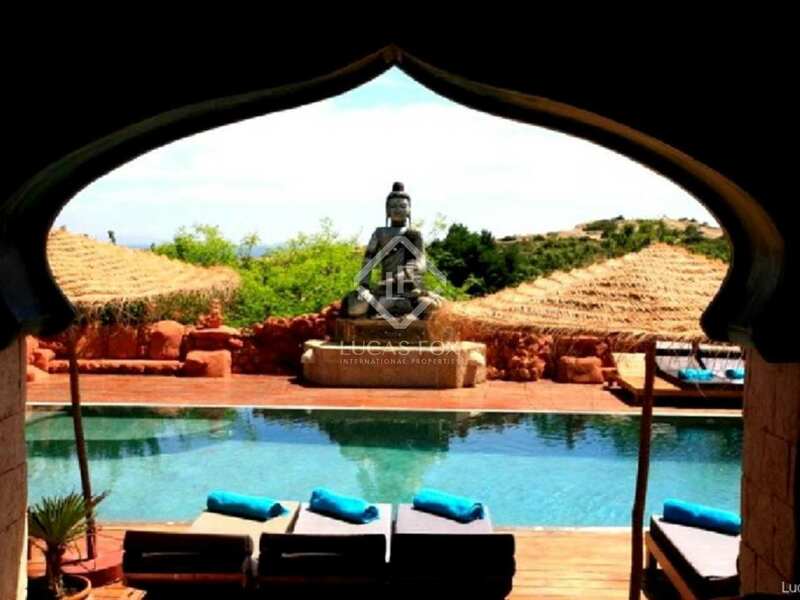 Great location in Cap Martinet on the south coast of Ibiza, next to the village of Jesus.The house is in a very quiet environment, but for those who like action, Pacha Discotheque, Marina Botafoch (the harbour), Talamanca beach and the old town of Ibiza are all within five minutes by car. 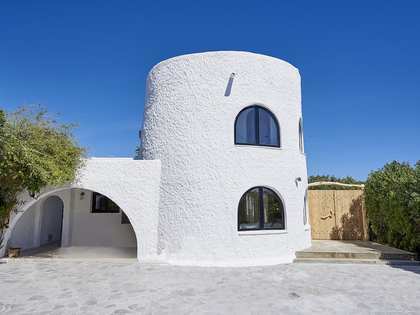 Together with Mallorca and Menorca, the smaller island of Ibiza (the White Isle or Eivissa in Catalan) completes the trio of Islands located off the East Coast of Spain known as the Balearics. 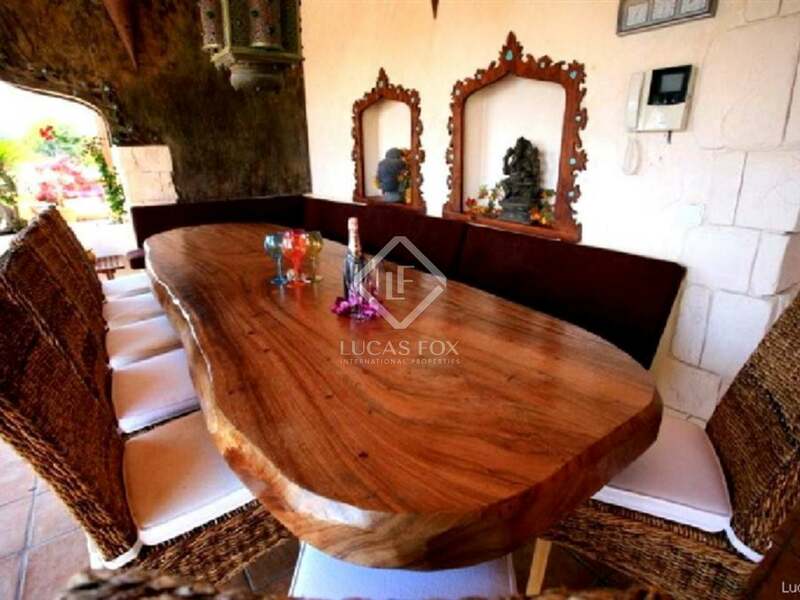 Lucas Fox specializes in Ibiza houses and apartments for sale and for rent across the Island. Ibiza has a fantastic range of property for sale from modern glass and steel villas for sale set high on the hills above the coves or right on the front line of the Mediterranean; to classic white ibicenco style finca to buys set in their own land, either fully modernized with designer finishes or to be renovated; to sleek modern penthouse apartments overlooking marinas. 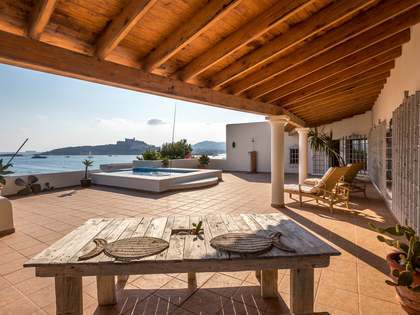 Property prices in Ibiza have continued to grow steadily and the island's increasing popularity as a second home destination and its excellent summer rental potential make Ibiza real estate an excellent property investment. Ibiza is maybe most famous for its international dance scene, attracting world class DJ’s from around the world in the summer. 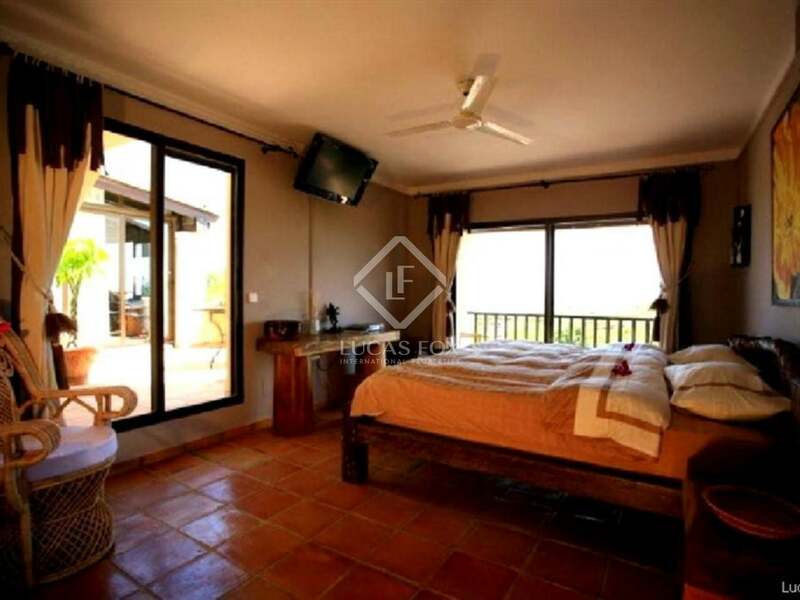 However, the island also has some spectacularly beautiful countryside boasting rolling hills with orchards of almond trees, jutting cliffs dropping to white sandy coves and bays of clear turquoise water. Ibiza has three main cities – Ibiza Town (the capital on the South East coast directly above Formentera), Santa Eulària des Riu (also on the South East coast) and Sant Antoni de Portmany (North West coast). 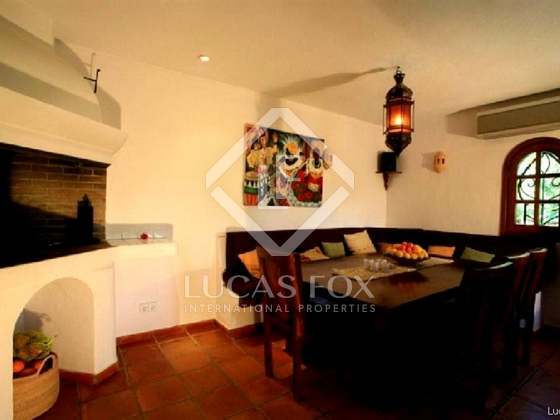 Lucas Fox specializes in Ibiza properties for sale and rent that are positioned to enjoy the best of the island while avoiding the crowds associated with the most popular tourist locations – houses and flats in coastal areas such as Es Cubells, Porroig, Cap Martinet, Talamanca and the quieter and more rustic north of the island including San Carlos, Santa Gertrudis and Santa Agnes.